Atlas Rehabilitation for Canines is Santa Barbara's only free standing, full service animal rehabilitation facility led by certified professionals. In June of 2017, Karen Atlas, MPT, PT, CCRT, teamed up with Dr. Bill Otto, DVM, to open ARC and offer physical rehabilitation services to pets. ARC is fully equipped with the latest underwater treadmill, cold laser therapy (class 3b), therapeutic ultrasound, Alpha-Stimulation (CES and MET), pulsed electromagnetic field (PEMF), electrical stimulation (NMES and TENS), as well as innovative land based exercise equipment. Qualifications/Prerequisites: This 2.5 day course is open to Physical Therapists and Veterinarians who have successfully completed a certification or diploma in canine rehabilitation. PLEASE NOTE: Before taking this Advanced course, you must have also already completed Laurie's Edge-Hughes' Basic Manual Therapy for the Canine Spine (or be pre-approved by the instructor prior to registering). Summary: Participants will be led through through a detailed evaluation of the canine spine from a mechanical perspective through lecture and lab. Manual therapy concepts and evidence-based rationale for treatment selection are covered in depth. An integrated model for dealing with spinal mechanics will be covered, including force closure, form closure, and motor control and timing for the neck, back, pelvis and ribs. Instruction in spinal biomechanics, detection of spinal dysfunctions, and how to manually treat (via mobilization techniques) the spinal system will be covered. Participants also learn to test musculoskeletal control of the spine and how to prescribe therapeutic exercises that target fine motor control and core stability. Pain control concepts and resolution of maladaptive postures are also addressed. 1) Identify anatomical similarities and differences in the canine and human axial skeleton; 2) understand the mechanical and neurophysiological effects of mobilization; 3) discuss selection of technique and manner of application including grade and dose; 4) take home some manual techniques for assessment & treatment of the canine axial skeleton. Please note: This c﻿ourse may be eligible for CEU's in your state, though it will be up you to submit the certificate of completion, course objectives, hours and any other paperwork that may be required to your own respective state Board for approval. There is no guarantee that your state Board will approve this course for CEU's. It offers everything else you need--learning from the best! The instructor's (Laurie Edge-Hughes) previous courses in other states have been RACE and APTA approved, and the content of this course is no different. Same great instruction, same great treatment skills to take back home, but it will be up to you to submit the appropriate paperwork to your own professional board for approval. 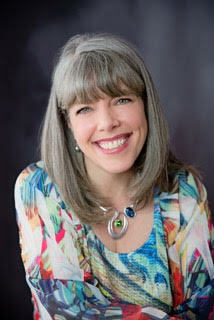 Laurie obtained her degree in physical therapy (BScPT) from the University of Alberta in 1993. Following graduation, she worked in the intensive care unit at the Foothills Hospital (Calgary, AB) before practicing at a private physiotherapy clinic (Cochrane, AB). Her broad post-graduate education has been in the field of human and canine orthopaedics, including advanced assessment and treatment in spinal and extremity neuro-musculoskeletal conditions, postural stabilization, dynamic muscular stabilization, adverse neural tissue tension assessment and treatment, and osteopathic therapeutic techniques (i.e. muscle energy, craniosacral therapy, and functional indirect therapy). Laurie received her certification in medical acupuncture from the Acupuncture Foundation of Canada Institute. She also obtained special dispensation to practice spinal manipulations in the province of Alberta. Please check back for a detailed course schedule. Participants must be a licensed and certified canine PT or certified rehab DVM to participate. Non-refundable down payment of $500.00 is necessary to hold your spot in the class. You will be notified by email when your final payment has been received via credit card or check by mail. If you need to cancel after paying the full amount and we have a waiting list, we will refund your full amount. No refunds after September 1st. A partial credit may be applied to future ARC events. 1. Please fill out the registration form below then click SUBMIT. 2. Look for the button below "Pay-Advanced Course". This button takes you to our secure payment page so you can make your deposit, pay the balance or pay for entire course at once. You only need to fill out the registration form once. Then come back to this same page to pay your balance later. We look forward to hosting a great conference! Atlas Rehabilitation for Canines (ARC) reserves the right to cancel the event for any reason, at any time. If so, we will provide a full refund of tuition. I'm interested in sharing a suite to save some $. Connect me with other participants. Please select one of the links below if you would like to register for the Advanced Manual Therapy Course. Balthazard P et al. Manual therapy followed by specific active exercises vs a placebo followed by specific active exercises on the improvement of functional disability in patients with chronic non specific low back pain: a randomized controlled trial. BMC Musculoskel Disord 13(1): 162. Epub ahead of print, 2012. Bialosky JE, Bishop MD, Price DD et al. The mechanisms of manual therapy in the treatment of musculoskeletal pain: A comprehensive model. Man Ther, 14 (5): 531 – 538, 2009. Breit S & Kunzel W. Breed specific osteological features of the canine lumbosacral junction. Ann Anat, 183: pp 151 – 157, 2001. Breit S. Osteological and morphometric observations on intervertebral joints in the canine pre-diaphragmatic thoracic spines (Th1 – Th9). Vet J 164: 216 – 223, 2002. Breit S. Functional adaptations of facet geometry in the canine thoracolumbar and lumbar spine (Th10 – L6). Ann Anat 184: 379 – 385, 2002. Breit S, Kunzel W. Shape and orientation of articular facets of cervical vertebrae (C3 – C7) in dogs denoting axial rotational ability: An osteological study. Eur J Morph 40 (1): 43 – 51, 2002. Breit S, Kunzel W. A morphometric investigation on breed-specific features affecting sagittal rotational and lateral bending mobility in the canine cervical spine (C3 – C7). Anat Histol Embryol 33: 244 – 250, 2004. Benninger M, Seiler G, Robinson L et al. Three-dimensional motion pattern of the caudal lumbar and lumbosacral portions of the vertebral column of dogs. Am J Vet Res, 65 (5): pp 544 – 552, 2004. Benninger M, Seiler G, Robinson L et al. Effects of anatomic conformation on three-dimensional motion of the caudal lumbar and lumbosacral portions of the vertebral column of dogs. Am J Vet Res, 67: pp 43 – 50, 2006. Dunning JR, Cleland JA, Waldrop MA, Arnot CF, Young IA, Turner M, Sigurdsson G. Upper cervical and upper thoracic thrust manipulation versus nonthrust mobilization in patients wth mechanical neck pain: a multlicenter randomized clinical trial. J Orthop Sports Phys Ther. 2012;42(1):5-18. Edge-Hughes LM. Hip and sacroiliac disease: selected disorders and their management with physical therapy. Clin Tech Small Anim Pract. 2007 Nov;22(4):183-94. Fritz JM, Koppenhaver SL, Kawchuk GN, Teyhen DS, Hebert JJ, Childs JD. Preliminary investigation of the mechanisms underlying the effects of manipulation: exploration of a multivariate model including spinal stiffness, multifidus recruitment, and clinical findings. Spine. 2011;36(21):1772-81. Gregory C, Cullen J, Pool R, Vasseur P: The Canine Sacroiliac Joint. Preliminary study of anatomy, histopathology and biomechanics. Spine. 11 (10): pp 1044 – 1048, 1986. Little JP & Adam CJ. Effects of surgical joint destabilization on load sharing between ligamentous structures in the thoracic spine: A finite element investigation. Clin Biomech 26: 895 – 903, 2011. Seo E, Choi J, Choi M, Yoon J. Computed tomographic evaluation of cervical vertebral canal and spinal cord morphometry in normal dogs. J Vet Sci. 2013 Oct 18. [Epub ahead of print]. Smolders LA, Kingma I, Bergknut N et al. Biomechanical assessment of the effects of decompressive surgery in non-chondrodystrophic and chondrodystrophic canine multisegmented lumbar spines. Eur Spine J. online published: April 2012.